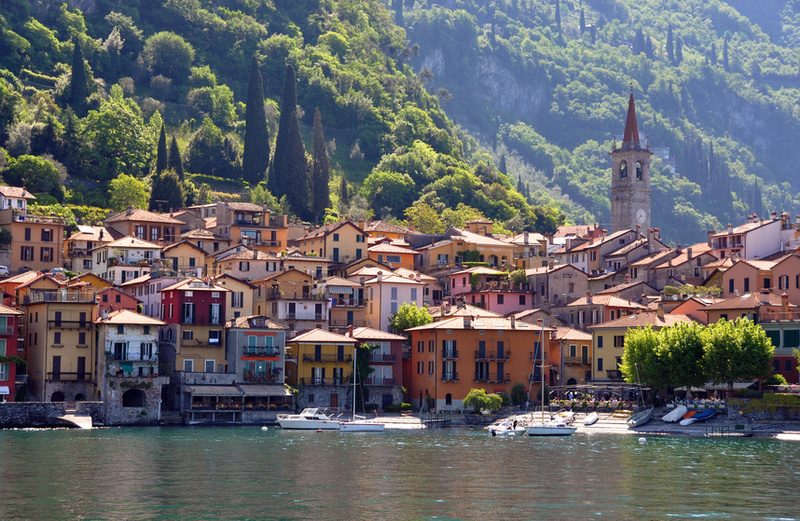 Italy continues to be a tempting prospect for Brits looking to purchase a property away from home. When you have found the Italian property you wish to buy you will need to instruct an independent English-speaking property lawyer in Italy to help you with the purchase and to look after your legal interests. But how do you find a reliable English-speaking property lawyer in Italy? Worldwide Lawyers can help. We can put you in touch with a reputable English-speaking property lawyer in Italy to assist with your Italian property purchase. All our lawyers in Italy are able to provide all advice in English and are registered and insured in accordance with their country’s code of conduct. Call us on 01244 470 339 and our friendly UK based representatives will provide you with FREE help to get in touch with an independent English-speaking property lawyer in Italy. Alternatively you can or contact us by email at info@worldwidelawyers.co.uk or click here to request a call back on our simple contact form. Worldwide Lawyers can connect you to an English-speaking lawyer to assist with your property purchase in Abruzzo, Arezzo, Florence, Liguria, Rome, Siciliy, Tuscany, Umbria or anywhere else in Italy! Click here to contact us and get in touch with an independent English-speaking Italian lawyer. The laws that relate to you will depend on your own individual circumstances and it is important that you seek your own legal advice. Worldwide Lawyers can put you in touch with a property lawyer in Italy to advise you and help make the transaction as smooth and stress free as possible. And… for more information about the do’s and don’ts of the Italian property buying process download our FREE Legal Buying Guide – Buying Property in Italy. Including advice about the process and many helpful hints and tips. Once you have found your perfect Italian property, agreed your purchase price and Worldwide Lawyers has found your English speaking Italian lawyer you are ready to move forward with the buying process. The buying process in Italy consists of three stages. The process starts with an initial contract known as a Proposta d’acquisto which documents a formal offer made by the buyer. Signing this contract and paying a small deposit of up to 5% (held by the estate agent or lawyer) usually ensures your chosen property will be removed from the market for around 2-4 weeks while basic checks are carried out by your Italian property lawyer. The deposit will usually be repaid if the purchase does not continue due to legal problems or if the seller does not accept your offer. Once the buyer and seller have agreed to go ahead with the transaction, they will enter into a preliminary contract called the Contratto Preliminare di Vendita. This contract includes the selling conditions such as a description of the property, rights of way, ownership rights and dictates the essential elements of the transaction. Usually a deposit of around 10-20% is payable by the buyer when signing this binding contract. Once signed this deposit will not be refunded if you back out without valid legal reason. Your lawyer should explain the obligations of each party as a result of entering into this contract before it is signed. Once the Contratto Preliminare di Vendita has been signed an Italian notary (Notaio) is appointed. The notaio will usually draft the deed of sale known as the Atto di Vendita (also known as Rogito). This is the conveyance document that transfers the legal ownership of the Italian property and represents the final stage. The Atto di Vendita is prepared by the Italian notary and is signed in their presence at the notaio’s office. The main function of the notaio is to certify Italian documents and agreements ensuring that they fulfil certain legal criteria and to collect the relevant taxes. The notaio does not advise or protect the interests of the buyer or seller who should both be individually advised by an experienced and qualified Italian lawyer. You can either sign the Italian title deeds document in person in front of the notaio or arrange a Power of Attorney for someone else, usually your lawyer, to sign on your behalf. Should you require a Power of Attorney, your lawyer should be able to prepare this for you. You can put the Power of Attorney into effect by signing this in Italy in the presence of a Italian notary, through the Italian consulates in the UK, or through a British notary public with a Hague Apostille. If you do sign in person and are not fluent in Italian then, according to Italian law, the deed of sale must be drafted in both Italian and English. On the completion date the notaio will read the contents of the deeds aloud in Italian and the buyer will be able to read the English version. You should be supported by your bilingual lawyer at this meeting in any event so that you can ask any questions of the notaio through your lawyer to ensure your fully understand all aspects of the transaction. At the signing, the balance of the purchase price, notaio’s fees and all relevant taxes will need to be paid and then the keys to the property will be handed to the new owners. Once the Atto di Vendita is signed, the Notaio will send the purchase deed to be registered with the Italian Land Registry. A copy of the deeds will usually be sent to the buyer one month after the signing. The next step is to enjoy your new Italian property relaxed in the knowledge that your independent Italian lawyer has taken care of all legal formalities and your interests have been protected. Congratulations! For more information also see: Giving your Overseas lawyer Power of Attorney, Making the Most of Your Overseas Payments. The additional costs of buying a property in Italy will vary considerably depending on the value of the property and whether the property is to be your main residence. On average this will be between 10-20% of the purchase price. When buying a “new build” property you have to pay IVA tax (the equivalent of the UK’s VAT) to the seller. This is 4% for a main residence, 10% for non-residents or a second home, and can be as much as 22% for a luxury property. For “second hand” properties you do not need to pay IVA but will need to pay the registration tax. This is 2% for a main residence. For non-residents it will be increased to 9%, and for an agricultural property, it may be more. Lawyer’s fees are usually charged as a percentage of the purchase price- typically 1-2% plus IVA . The Notary fees depend on the sale price. A lower sale price equals a higher percentage charge. This percentage is unlikely to exceed 2.5-3%. The Land Registry tax is a fixed sum of about €200. The estate agent’s fee is usually spilt equally between the buyer and the seller. Estate agents fee can range from 3-8% of the sale price. You should protect yourself by instructing a lawyer as soon as possible and before any formal steps have been taken to purchase an Italian property or before any mortgage has been formalised. This will allow your lawyer to advise you properly on all aspects of the transaction to ensure your position is fully protected. Contact us on 01244 470 339 for free help to find an independent English speaking lawyer to assist you with buying a property in Italy.